When it comes to iPad keyboard cases that stand up to a lot of abuse, the ClamCase Pro is the hands-down winner. The case features an aluminum body to hold the keyboard and battery, while the iPad Air is securely surrounded with tough polycarbonate. While it may not be the lightest or thinnest keyboard case on the market, the ClamCase Pro is certainly one of the most versatile. The case features a special hinge that lets the iPad be used in landscape orientation just like a laptop similar to other keyboard cases. But the amazing part of this design is in how the iPad can be flipped a full 360° for tablet use. The keyboard has a great feel with good feedback, and there are separate rows for the number keys and iOS function keys. Those keys include a "home" key, Spotlight search, cut, copy and paste, Siri, switch to alternative keyboards, and music and volume controls. There's also a lock key, a full arrow pad, and one special key to tell you how much of a charge is remaining in the ClamCase Pro battery. A single LED is used to provide users with initial Bluetooth pairing status, caps lock, and the battery level. There's an external power switch on the left side of the keyboard to turn the power on and off. Functionality As with previous models of the ClamCase Pro, the iPad Air 2 version pairs quickly with your tablet, requiring no 4-digit code to be entered. As much as I love the classic ClamCase Pro design, there are several things about the case that are beginning to seem dated in comparison with newer keyboard cases. For example, many of the new cases automatically power on and off and don't even have a power switch. That feature is quite useful, as I often found myself closing the ClamCase Pro "cover" -- which turns off the iPad Air 2 -- but forgetting to power down the keyboard. 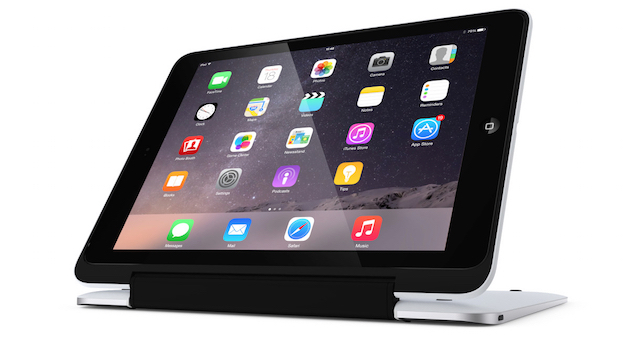 That's not all bad, as the ClamCase Pro does shut off your iPad Air 2 when the lid is down. However, if you're planning on watching a movie in the configuration shown below or you're holding the case in the "flipped" configuration seen above, you should probably use the power switch to turn the keyboard off or you may find you're inadvertently pushing buttons. Update: the ClamCase Pro does shut off the keyboard power automatically when it is in tablet mode. The design of the keyboard case also provides a nice palm rest below the keyboard, which is not only helpful when typing with the iPad Air 2 and ClamCase Pro in your lap, but almost necessary at any time. As light as the iPad Air 2 is, pushing the "screen" back out of the default position or typing on an angled surface can result in the keyboard lifting up. That makes it important for users to keep their palms on the keyboard in those conditions to ensure that the case and iPad don't take a tumble. After using some other keyboard cases for a while, there's one other thing I noticed about the ClamCase Pro -- the space bar is a bit noisy. I've really become accustomed to typing in complete silence on some competing keyboards. This, however, may be specific to the particular test case I was trying. Conclusion All things considered, the ClamCase Pro for iPad Air 2 is probably the most robust keyboard case I've had the pleasure to test. In my opinion, it really protects the iPad better than any other keyboard case on the market. On the negative side, it's still one of the more expensive keyboard cases available, and is also quite heavy in comparison to many competing cases. It's up to the buyer to determine if the protection and flexibility of the design outweigh the premium price and added weight. For anyone who wants to use their iPad to do laptop-type work, there's no better keyboard case to use. 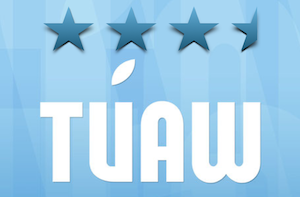 Rating: 3-1/2 stars out of 4 stars possible. Test driving the ClamCase Pro keyboard case for iPad Air 2 (Updated) originally appeared on TUAW: Apple news, reviews and how-tos since 2004 on Thu, 08 Jan 2015 20:00:00 EST. Please see our terms for use of feeds.